Leaders, academics and stakeholders to meet at two-day conference in New York starting Friday [8 Feb]. 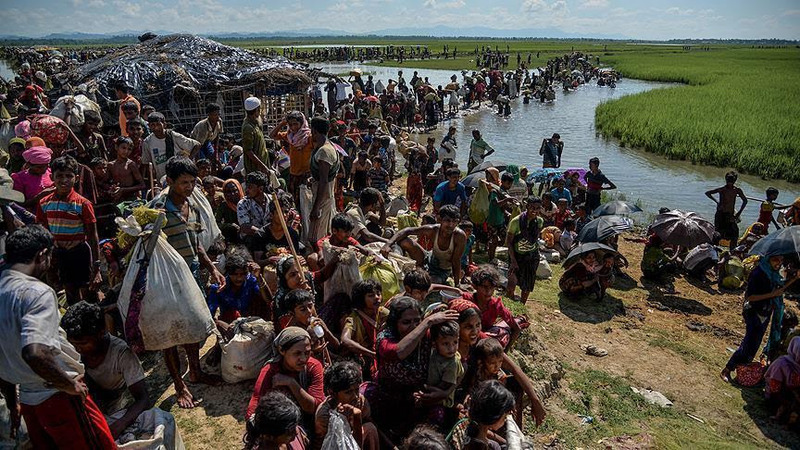 7 Feb 2019 – An international conference on Rohingya in New York on 8 Feb will serve as a “unifier” for academics, activists, the UN and law practitioners, its organizers said today. The conference, hosted by the Free Rohingya Coalition (FRC), will seek a boycott movement against Myanmar, said Maung Zarni, coordinator of strategic affairs for the group. “[Boycott of] Suu Kyi’s civilian government, the killer military, and the deeply racist society and its institutions ….. that have been used by the government and the military as weapons of hate, misinformation and violence,” U.K.-based activist Zarni, told Anadolu Agency in an interview. Zarni noted that authorities in Myanmar are using schools and universities as vehicles to spread racism and hatred toward Rohingya and other minorities such as the Christian Karen and Kachin people. “The conference will highlight the fact that there are common institutions and structures of Myanmar — society and state — that are involved in all cases of minority repression, be it the Rohingya victims, or Christian Kachins or Buddhist Rakhine,” he added. The conference aims to hold officials accountable for the Myanmar genocide and war criminals, protection for Rohingya, and other minorities, Zarni added. Zarni said they plan to spearhead various initiatives with sister organizations to mobilize public outrage “against international organizations and governments that cozy up to Myanmar”. “There is absolutely no political will among member states of the UN because saving lives and ending genocides do not advance the interests of these nation-states,” Zarni alleged. The rights activist regretted how western countries were interfering in the on-going Venezuelan crisis but not taking steps to safeguard Rohingya. The conference, he hoped, “will explore ways to mobilize peoples of conscience around the world … help restore Rohingya people to their ancestral land as full and equal citizens of Myanmar”. They will also seek the release of two Reuters journalists detained by authorities in Myanmar.